A key subject in any program is to make the program dynamic, with easy to use prompt & filter, to enable dynamic selection by user at runtime. The parameter interface, available from the left menu (below workspace and variables) allows developer to create and manage parameters that will be used in Markdown scripts, to make it interactives. 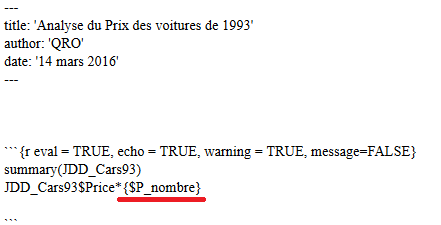 To create a parameter, please enter its name, definition, type and default value.